This book had it’s moments. Both really cute and funny, and a few that went on a bit too long. I loved Adrianna “Andy” Bottom, heir to the Bottoms Bathroom dynasty. She’s funny, quirky, and a little unsure of herself, but she’s also got a solid backbone that I loved. When her family moves from the Pacific Northwest down to Beverly Hills, subject of a new reality show based on their bathroom products, she becomes the Porcelain Princess. The victim of ridicule in her old school, she has a chance to reinvent herself in Southern California. But things go unexpectedly, hilariously wrong when on the first day of school, her new pencil skirt splits right down the back, revealing her Wonder Woman underwear for the entire world to see, literally, since the cameras are always there. While she quickly makes friends, she sets her sights on cute, but nerdy, Kevin. Her new friend tells her that would be social suicide, so Adrianna finds a way to dodge the cameras and become someone else, someone Kevin might be interested in. The world of live-action role playing (LARPing) takes center stage as Adrianna attempts a Hannah Montana life of having the best of both worlds. The romance is sweet and the life of a reality-TV star makes for some hysterical moments, but the LARPing was almost a distraction. I loved that side of the story, but a lot of attention was paid to the LARPing events. The first one was great. I loved seeing how their world worked, sort of like living Dungeons & Dragons. But by the third event, I found myself skimming those sections. I knew Adrianna and her friends weren’t in real danger, so the sword battles and treasure hunting didn’t hold my attention. I flipped past those, looking for the nuggets that moved the main plot along. The plot centers around Adrianna’s relationship with Kevin with strong subplots involving LARPing and her family’s business. Themes include being true to yourself and loyalty to friends. The main plot was good. There isn’t much heat in the relationship, but it’s definitely cute and I was pulling for these two the whole way. I liked all of the characters. Even the antagonist, the show’s camera guy, is more than a stereotype. Some seemed cardboard on the surface, but by the end of the story, it was clear what everyone’s motivations were. 1. Long LARPing Expeditions. These distracted me from the main plot too much. 2. Southern California Life. Some of it didn’t come across as authentic. Beverly Hills teens don’t take the bus. In fact public transportation in LA is pretty much a joke. I also have a hard time believing a small plumbing store could afford the rents on Rodeo Drive. And there are few empty lots anywhere in town that resemble a forest, but I could overlook most of this for the sake of the story. 1. Adrianna. She was really complex. 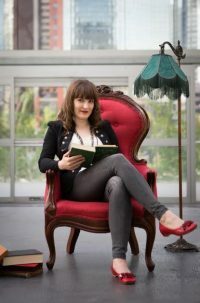 Part nerd, part cool kid, tough yet vulnerable, there was much to like about our heroine. 2. Kevin. Sometimes I wanted to shake him, other times I felt bad for him, but I always pulled for him to get the girl. 3. Comedy. The author does a fabulous job of weaving wit and humor throughout the story. 4. LARPing. While I didn’t need to read all the details of their quests, I absolutely love this idea of dressing up and becoming another character. Like Comic-Con on steroids. 5. Reality TV. I don’t actually watch any reality TV aside from competitions on the Food Network, but I loved the behind-the-scenes look at life in front of the camera. 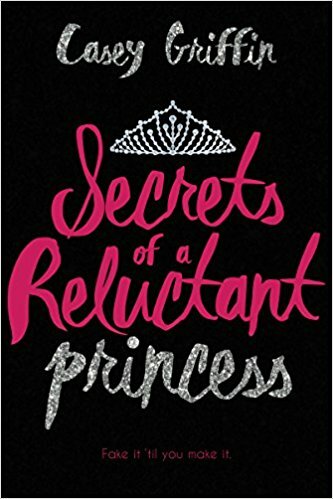 SECRETS OF A RELUCTANT PRINCESS is a cute, funny romance with lovable characters.